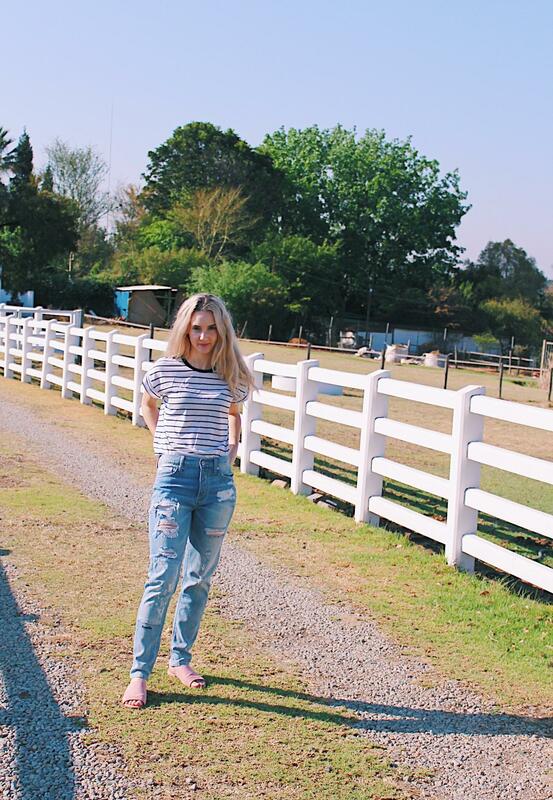 If there's one thing I love more than dessert, it's quite possibly a good pair of jeans! They are so versatile, always easy to style, can be worn in any weather and they look good on everyone. I have dedicated a whole other blog post before to my love affair with them - which you can read here if you'd like. But this post is a little different - because here I am sharing my tips on styling the ever so classic straight-legged trend! These jeans are what I would call having a semi high-rise waist. They are not completely high waisted, but they sit slightly above the hips. This adds to their comfort factor, because they're not squeezing on the hip bones, but still look flattering enough to give you a waist! 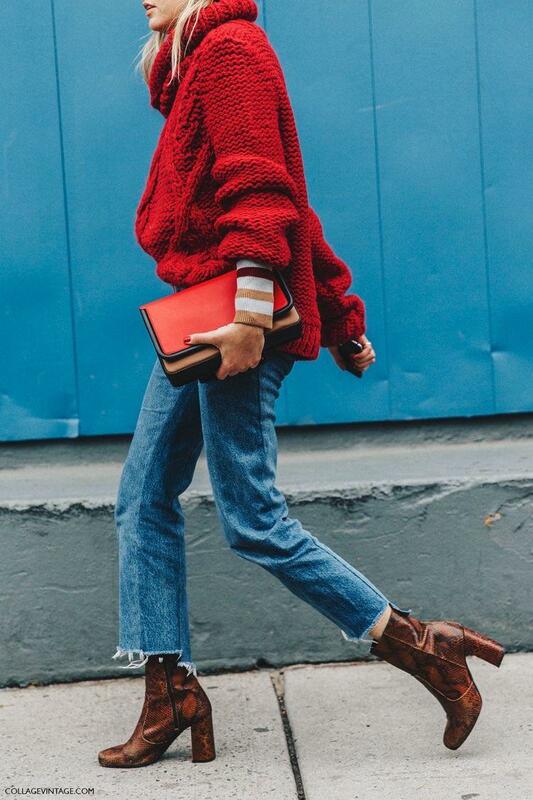 I'm really fond of the appearance of the straight leg style - it's nearly like the 'mom style' jeans that have also made a huge comeback and can be seen all over Instagram and Pinterest! But what is really nice about the straight leg is that they really are super casual, but in an effortlessly stylish way. As if they are the only pair of pants you could find, as you frantically rush out the door, running late for work. Somehow they still manage to look 'done up'! Another thing about the straight-legged jeans is that they don't have to be worn only for casual, everyday settings. I often speak about items on here that can be transformed into more glamorous looks, but I think it makes sense to try and get the most out of your wardrobe as possible. 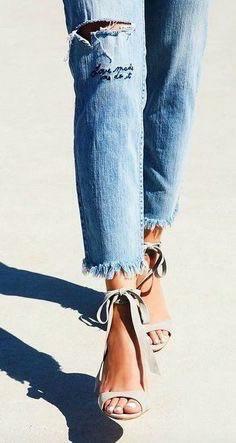 You can get really creative in dressing up a rather plain style of jeans, and that's half the fun! Styled with a chunky knit and some statement, block heel boots, or an elegant bardot top and some pointed stilettos. The entire look of these jeans can completely change, and just like that you are ready for a night out! *These photos are from Pinterest. I'm all about easy fashion. When I wake up in the mornings, it takes me about two hours to properly begin functioning! So when it comes to getting dressed before work, I like to have something easy to throw on but I still want my love for fashion to be obvious. It's thanks to pieces such as these jeans that I have been managing to not look like a sleepy seal everyday of the week! You've just got to know what looks good on your body, what you feel comfortable in (the most important) and also, what is going to bring out the best in you. I know that for me I would love to wear gorgeous heels everyday and chic pieces of clothing - but right now, that doesn't fit into my lifestyle. Firstly because I'm a working student/make-up artist/blogger, so I can't say it would be the most practical attire for me! And secondly, to be honest my confidence levels aren't quite there yet. This is definitely something I am working on. But all in due time. My style icon has been Victoria from Inthefrow for quite a while now - if you have not seen her blog or Instagram yet, do yourself a favour and take a look! If you love fashion, she is literal goals! 😉 She makes high fashion and high heels for that matter, look absolutely effortless. What are your thoughts on this simple style of jeans? And does anyone feel the same when it comes to confidence in clothing? Let me know!